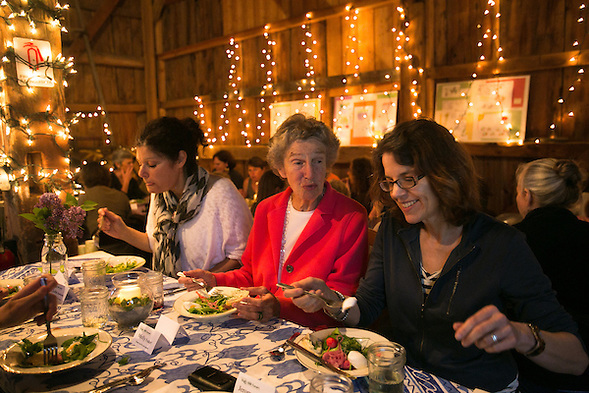 I had the pleasure of photographing a special Farm to Table dinner held at Cohasset’s Holly Hill Farm this weekend for The Patriot Ledger’s food section. The farm is located on Jerusalem Road in the middle of prime vacation house real estate, and dinner was served in a barn built in 1785 without a single nail to be found. Chef Robin King of Restaurant Oro in Scituate prepared a 3 course meal highlighting the farm’s delicious vegetables, and a light spring rain set the mood. Amazing, to say the least. 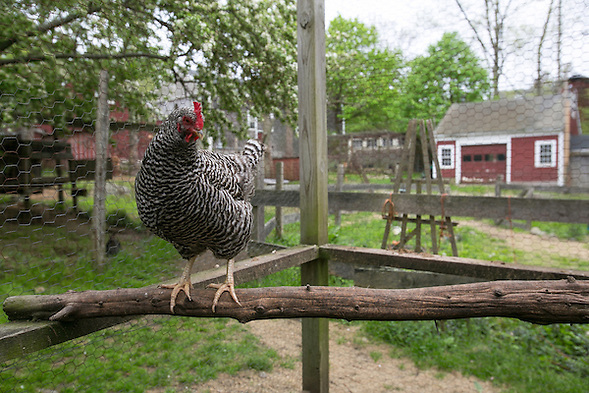 A hen in its coop at Holly Hill Farm, whose eggs were featured in the first course of Saturday’s farm to table dinner. 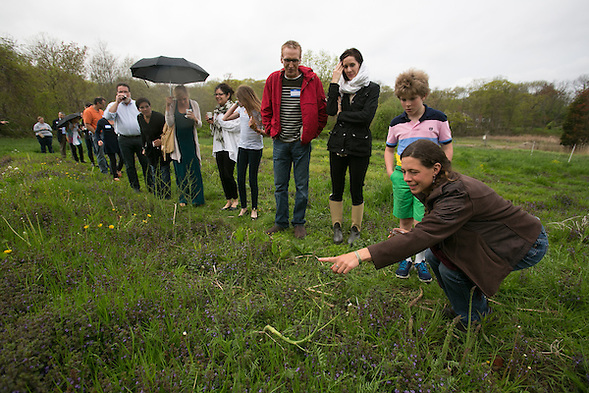 Farmer Deanna Levanti points out rows of asparagus stalks to guests at Saturday’s farm to table dinner. 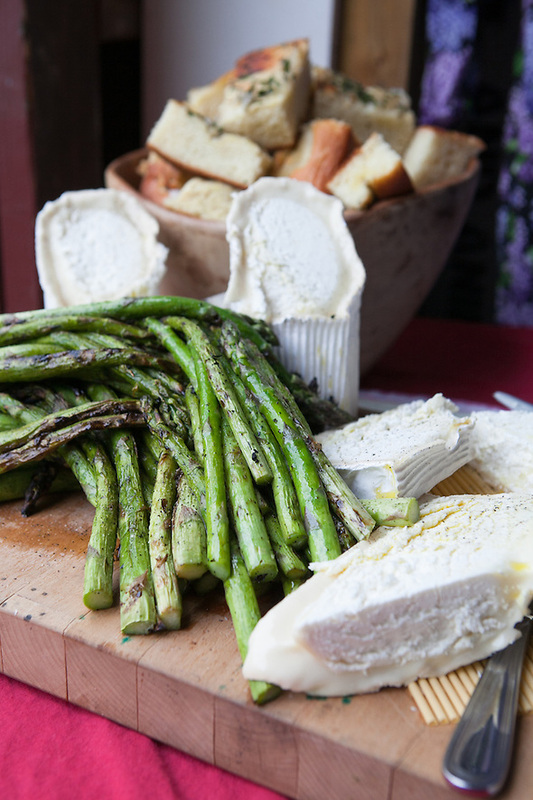 A cheese plate featuring Holly Hill Farm’s own asparagus and Bucheron cheese. 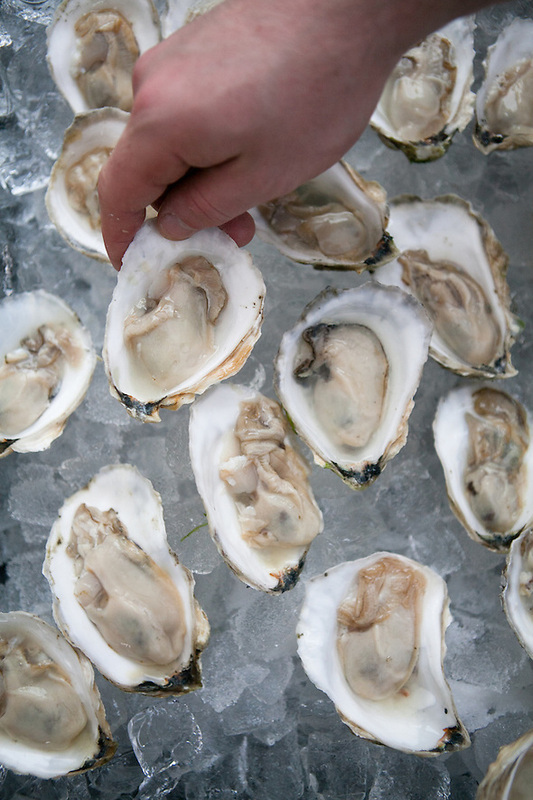 Chef Ben Murphy places an oyster from Duxbury on ice. Diners, including from left Beth Baron, Mary Hartshorne, and Jenny White enjoy a farmhouse salad of shaved asparagus, wild arugula, pickled radish, and a farm fresh egg. Chef Robin King of Scituate’s Restaurant Oro receives a round of applause at the conclusion of Saturday’s farm to table dinner at Holly Hill Farm. This entry was posted on Wednesday, May 15th, 2013 at 8:50 am. It is filed under Photojournalism. You can follow any responses to this entry through the RSS 2.0 feed.